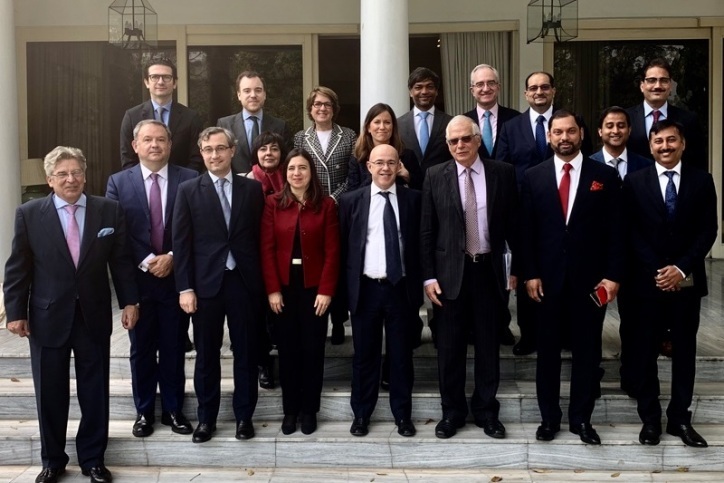 Within the framework of the official trip by the Minister of Foreign Affairs, Josep Borrell, to India, an institutional delegation travels with him to assess the business potential of the country. The group of businessmen was headed by the head of CEOE’s International Department, Narciso Casado, and the head of Spain’s Chamber of Commerce, Inmaculada Riera. Casado pointed out that “in slightly less than a decade, India has become one of the countries with the greatest social, economic, and, most of all, business potential in the world.” “In fact, it is at the forefront in several rankings on market growth, foreign investment and establishment of foreign companies,” said Casado. During the visit, the head of CEOE’s International department also participated in Rasina’s Dialogue, a forum held on January 8, 9 and 10. This forum featured the participation of the Minister of Foreign Affairs, Josep Borrell, along with the former Italian Prime Minister, Paolo Gentiloni, and the Dutch MEP, Marietje Payne. Borrell arrived in India on a trip with specific economic goals, since one of its main objectives is to boost the presence of Spanish companies in a country that is already the sixth economy in the world, growing at an annual rate of 7%. Thus, India has great potential, which comes across, for example, in its need for 40,000 train coaches to renew its railway network, an extensive hydroelectric, nuclear, solar and wind power network to provide electricity to the population, while it also aims to decarbonize its economy.